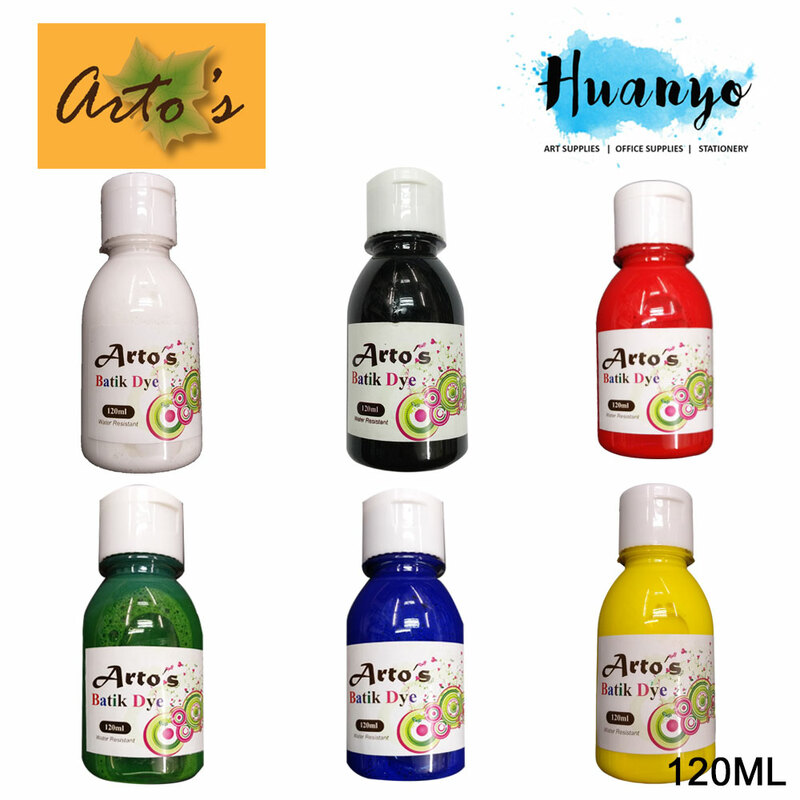 Great dye for Batik Craft, Tie & Dye and Dip Dye on untreated fabrics such as cotton, wool, silk, linen, rayon and many other natural fiber materials. 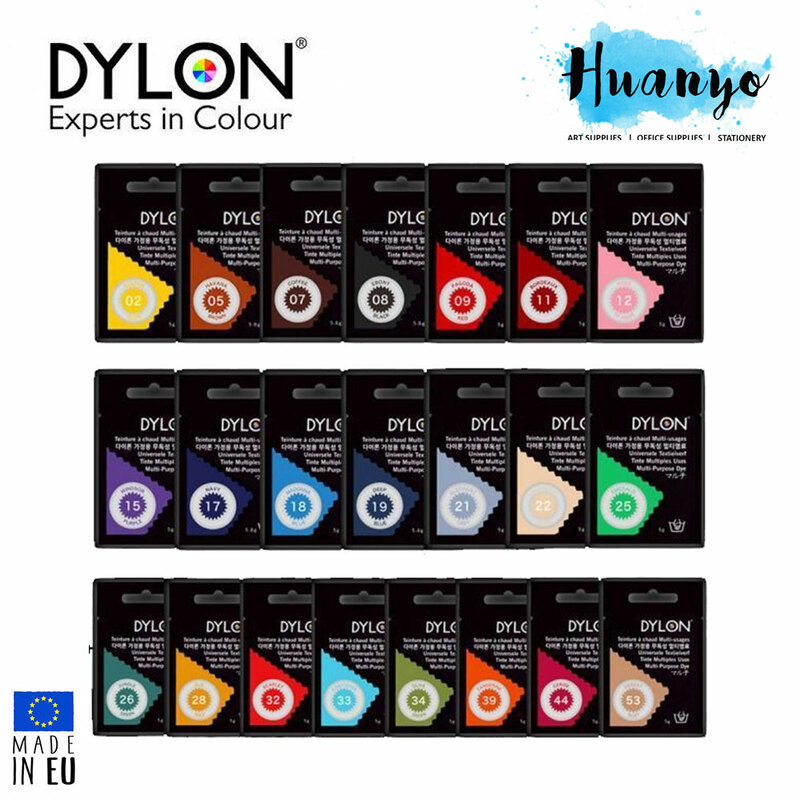 Can be apply to untreated T-Shirt, Canvas and many more. A fun craft to do for all age group. Fold/twist and tie garment to desire pattern or stretch cloth with stencil frame for batik craft. Do not add water into fabric for a lighter shade. Rest & fix after applying all colours, wait for 30 minutes before removing tied fabric and let fabric set for 4 hours or longer. Wash fabric in washing machine or hand wash with soap and water without mixing with other fabric or garment. Hang fabric out to dry. Recommended fabric to use is untreated natural fabrics. Use more dye to achieve a brighter color or add water for a lighter shade. Always wear rubber gloves while using dyes. If necessary, wash fabric first before use. Due to a large variety of fabric materials, always test paint on fabric before painting.